On November 21 the national stage of the international competition was summed up in Moscow. It covers 60 countries. 32 candidates from the leading Russian entrepreneurs of various sectors of the economy, from the digital industry to retail, entered the finals. Andrey Gorokhov, the owner of Infamed K LLC, was among those who overcame the pre-selection. In addition to him, the medical field of Russia was represented at the competition by the heads of such companies as GEROPHARM, Mobile Medical Technologies and others. 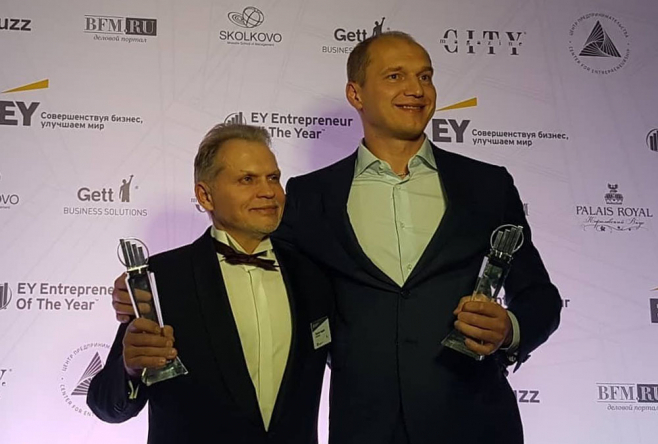 By decision of the jury of the “Entrepreneur of the Year-2018”, Andrei Gorokhov was named as the winner in two nominations at once - Medical Production and Choosing the Business Internet. The last nomination was awarded on the basis of online voting for candidates in the contest website. - This victory is for all of us. For my companions and colleagues, we have created drugs, which are probably in every home medicine chest of the Russians. For the "Ecobaltic" industrial park in Bagrationovsk, where the company Infamed K focused on the production of medicines, modern factories were built. For all Kaliningraders, I congratulate them on the victory of another of our fellow countrymen. General Director of 1C-Bitrix Sergey Ryzhikov won another nomination - “Digital Technologies”. So, today Kaliningrad is the best in the country in terms of the quality of business and entrepreneurial activity! - commented on the results of the competition "Entrepreneur of the Year" Andrei Gorokhov.